"My heartfelt sympathy to Bob's family and friends. I hadn't..."
"To the family and friends of Robert Bean, please accept my..."
"To the family and friends of Robert Bea, please accept my..."
"Marilyn: Saddened to hear the news. My sincere condolences..."
"Marilyn and Family: We are so saddened to hear of your..."
Robert (Bob) Bean passed away March 26, 2018 after battling an unusual form of cancer. During his last few days, he calmly talked and laughed with family and friends to the extent his condition would allow. Bob was born in Clarksville, Arkansas in 1950. His family moved to Wichita when he was nine months old. Bob was raised in Wichita, and he graduated from Southeast High School in 1968. Obtaining a college education was very important to Bob, and he worked his way through Wichita State University receiving his business degree in 1972. Bob and Marilyn met while working together; they married in 1970; and loved and supported each other ever since. Bob was very active at College Hill Church, and the Communicators Sunday School class at College Hill was a significant part of Bob's life, of which Bob and Marilyn were charter members. Bob worked in healthcare for 48 years. He was employed by Wesley Medical Center for 23 years and later Via Christi St. Francis for 5 years in Wichita, but in 1997 he joined Lawrence Memorial Hospital for 20 years. Bob thrived at LMH while working in several key roles. He loved the people he worked with and the community the hospital served. Bob retired in September of 2017. He enjoyed many activities over the years. He was always terrific with children, which led him to dressing and acting as Santa Claus and as a juggling clown on many occasions. At times he performed music, singing while playing his guitar. For many years, Bob created an elaborate Halloween display area in his garage and front yard for the enjoyment of the neighborhood kids – and nobody enjoyed it more than Bob. He was the scoutmaster at his church in Wichita, and he loved to plan and take his scouts on summer backpacking trips to Colorado. Bob was a big sports fan and supported all of the major universities in Kansas. In the past several years, Bob spent as much time as possible with his 3 grandchildren, attending their games and making toys for them. Bob will be missed by family, friends and co-workers. Bob was preceded in death by his parents, Maxine and Garland Bean; and he is survived by his wife of forty-eight years, Marilyn (Keech) Bean; son, David Bean (Cheryl) of Topeka; daughter, Jennifer Singh (Rakesh) of Ft. Smith, Arkansas; three grandchildren, Ashley, Austin and Caitlyn Bean; brothers, Mike and Gary; sister Beverly Hume (Roger); sister-in-law, Pam Harnden (Ron); and father-in-law, Elmer Keech. A Memorial Service will be held at College Hill United Methodist Church, Wichita, Kansas, on Saturday, April 7, 2018 at 10:00 a.m. There will be A Time for Remembrance held at LMH for employees and co-workers. Please share tributes online at warrenmcelwain.com. 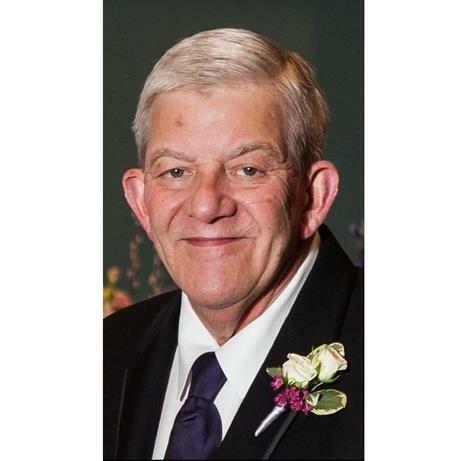 In lieu of flowers, the family suggests gifts be made to College Hill United Methodist Church, 2930 E. 1st Street North, Wichita, KS 67214 or Lawrence Memorial Hospital Endowment Association, 325 Maine Street, Lawrence, KS 66044, in Bob's memory.